In 2019, self service will surpass human support for customer service interactions. More and more customers want to take care of business themselves as they become more self-reliant and self-sufficient than ever before. According to recent Gartner research, 81% of all customers across industries attempt to take care of matters themselves before reaching out to a live representative. Just think about the first thing that comes to your mind when you have a problem? Will you pick up your phone to make a call, or do you google it first? Like my teenage daughter put it: “Why would I call someone?” Clearly, in her mind, there must be a more convenient and faster way. And nowadays most people think just like her. With the rapid expansion of self service, we will also see an increase in agent-assisted self service: whenever the customer can’t find the right answer themselves (or with the help of a chat bot) human help should be right there, in the context of the current interaction. You need to seamlessly blend automated or unassisted service with assisted service to ensure an effortless customer experience. Few organizations do this well… in most cases customers are forced to switch channels and information about the previous interaction is lost during the transfer. A word of warning, though: Many organizations invest in and drive their customers to (often poor or inadequate) self service to deflect service calls and reduce the overall cost of service. Those investments in digital self-service solutions will not pay off if improving the customer experience isn’t central to the effort. In fact, it may backfire and actually increase your call volume and decrease customer satisfaction. On Cyber Monday this year, for the first time, more than 50 percent of online sales were from mobile devices and accounted for more than one third of the revenue, marking a year-over-year increase of more than 55 percent. While no such data is available for customer service interactions, we expect that mobile customer service will follow a similar path. Who doesn’t want to whip out their smart phone to get a quick answer to a question, get an update on their account balance, watch a how-to video, or schedule a service appointment with the cable guy when your internet isn’t working? Mobile is a key reason for the shift in channel preferences towards digital channels, as consumers demand convenience and the ability to get support immediately – anywhere, anytime. More than 50 percent of online buyers abandon their shopping cart if they can’t find a quick answer to a question they have about their intended purchase. Again, these are moments that matter most to your customers, and not only do they have a negative impact on the customer experience, but also on your revenue. Most online stores offer live chat to provide support to customers during the buying process and before they are ready to hit the buy button. Some companies also offer co-browsing so that an agent can assist online customers in finding the right products and can guide them all the way through the check-out process if needed. Traditionally customer service was focused primarily on after-sales support , but we are seeing a paradigm shift towards the earlier phases of the customer journey as more purchases are made online following information-gathering exploration in the decision-making process. Supporting customers before they buy drives conversion rates and ultimately revenue: and it can reduce the high cost of returns because less customers end up buying the wrong product. Electronic commerce has been a key driver for the adoption of web chat, as it provides a seamless and contextual experience to customers. In 2019, expect a significant increase of investments in AI and machine learning. Even more important is that AI/ML in customer service tops the list of investments. By the end of 2019, it’s likely that 50 percent of companies will have AI embedded or piloted in at least one service process. 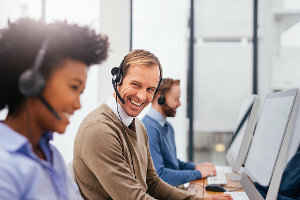 While most of the buzz is about chat bots, conversational UI’s and virtual assistants, there are many other relevant use cases in customer service, ranging from leveraging machine learning for intelligent search and solution recommendations, automated ticket categorization, and next best action to intelligent ‘call’ routing or scheduling optimization of field service resources and predictive maintenance & service. Finally, robotic process automation can be leveraged for more complex case management and highly repetitive service process workflows. The key to deriving value from AI is the data that’s needed for the algorithms to learn: Data is the fuel for AI! The more data you have, the better. Hence, without a strong digital backbone, AI systems will lack the training data necessary to build better models and the ability to transform superior AI insights into better customer service, improved service processes and more efficient service operations. While adoption of AI & machine learning is still in its early days, results are very promising with most early adopters reporting positive outcomes. Achieved benefits include faster processing of service requests, improved quality of customer service, optimized service operations, and lower cost of customer service. A recent analysis of ~6 million AI-assisted service tickets revealed that SAP customers achieve 69% of ticket automation and save on average 40 minutes per agent every day simply by automating the ticket classification. 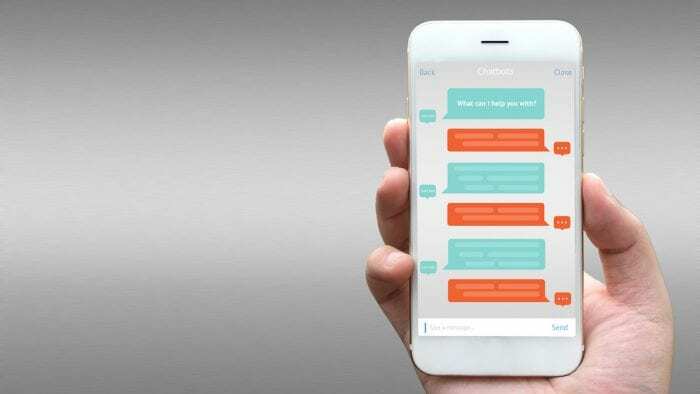 Nevertheless, chatbots (or virtual assistants in general) remain the hottest topic in AI-powered customer service; some consider them the crown jewels of AI because they have the potential to completely automate the entire customer interaction (and mimic the human interaction). But bots can’t answer every question, nor solve every problem. Hence you will need clearly defined, mostly simple use cases such as your ten most frequently asked questions, providing account information, change of address, making online payments, checking order status etc. And you need to seamlessly switch into an assisted mode where a human will step in when the bot gets stuck. The prospects are promising: Gartner predicts that within the next 3 years 15% of all customer service interactions will be completely handled by AI. At the end of 2018 there were more than an estimated 10 billion connected devices – more than the world population, which is currently 7.7 billion. Experts believe that IoT will grow to over 20 billion connected things by 2020, doubling today’s number within the next one or two years. This rapid expansion is not limited to high-tech products, medical equipment, industrial machinery and cars, but also includes many household products ranging from electric toothbrushes to coffee makers and dishwashers – even light bulbs and power outlets are now ‘smart’ connected devices. Today, I can already use a mobile app to start my car, view car diagnostics, check the tire pressure, and get recommendations for safer driving based on my driving behavior. If I share this data with my insurance company, I may even get a discount on my auto policy. The really interesting part – beyond being able to control all these devices with my smart phone – is the vast amount of data that is now available and accessible: With the help of sensor data, companies can have a better understanding of its machines and products, and the ability to analyze them continuously. By monitoring the usage and condition of the machines/products, organizations can now predict required maintenance and repairs leveraging ML capabilities. By anticipating a potential failure, organizations can alert the customer and fix an issue before it becomes a real problem, thus preventing potential further damage. Not only will this reduce maintenance and service costs, but decrease equipment downtime significantly – both the vendor and the customer win! More and more companies are using digital technologies to change their entire business model or create new business models in addition to their existing business model, and venture into entirely new revenue and value producing opportunities. The digitalization of your entire business usually also means that your products become services, or at least more like a service. Some of these digital transformations are more radical than others, and a few have or will disrupt an entire industry. In any case, digital customer service is playing a key role to make these business transformations work. For 2019 we predict a significant uptake in new business models. Take music as an example: we used to buy records (those of us who are old enough to own a record player) or CDs; then we downloaded music and paid 99 cents for each song; today we have a monthly music subscription for a fixed fee and can listen to as many songs as we want. The product became a service. We don’t own the music anymore, but that doesn’t really matter (as long as we pay for the subscription). Technology played a key role in this radical transformation, but the real reason why all of this happened was the customer. The customer experience is better: it is more convenient and faster to get the music you want – anywhere, anytime. We have seen similar transformations in other industries (although not many products can be turned entirely into a digital version like in the music or movie business): jet engine manufacturers no longer sell engines to their customers, they sell uptime of the aircraft in the air: While the physical product still exists, as well as all the logistics around it, the business model turned into a service business model. Customers pay based on how long the engines are up and running and how long they keep the aircraft in the air. Innovative manufacturers in other industries have embarked on a similar business transformation journey: printers, servers, data storage, software, cars, power generators, medical equipment…and even hospital beds are now offered as a service on a subscription basis, paid for based on actual usage. More companies are taking advantage of the gig economy to expand their in-house service organization and service partner network with freelance experts and technicians. “Crowd Service” enables them to create a vast service ecosystem that can respond to customer service requests much faster and – in many cases – at a much lower cost. With the freelance workforce growing faster than the total workforce, the pool of freelance experts that organizations can crowdsource is growing rapidly. This is not only the case for lower-level experts to perform simpler service tasks; the market for highly skilled experts who no longer want to be employed and/or don’t want to work for just one company is also growing dramatically. A Swiss telco provider created a pool of certified experts who perform simple tasks like installing cable modems, setting up wireless networks, replacing routers, or fixing other issues. With this service (it includes a mobile app to request a service technician) a certified expert shows up at your doorstep within less than an hour for 80% of the incoming service requests. The good news first: Many organizations have identified the customer experience as a top strategic priority and customer satisfaction as a key performance indicator. Investments in digital customer service will go up significantly in 2019. The bad news: For the most part, execution has not translated into better customer experiences. Most organizations have failed to so far. Many customers remain unimpressed with the service they are receiving. The rapid shift to digital customer service should be good for everyone. Digital engagement, automation and self-service cut overall service costs for companies and, more importantly, benefits the customer by improving the customer service experience – if it is done well. Companies that excel in customer experience will have a significant competitive advantage and create more value for their shareholders. 2019 is your opportunity to lead the digital transformation of customer service in your industry. Don’t hesitate, go for it, and win! Keep your customers happy with a unified experience. Watch the demo here.